Hello Frndzzz.... www.dealsnloot.com Back With New MakeMyTrip Earning Trick. MakeMyTrip Is One OF the Most Popular Traveling Site Of Flight,Hotel,Train Booking and Most of the people Prefer this site to plan trip and make Booking of their Holidays. Now makemytrip Come Up With New Offer Of Refer And Earn Get Up to Rs 1000 Per Refer and save Lots of Money on your Booking. Open the app and click on Left side upper icon for menu. Click on login or create New account. As your Register On app you Get Rs 500 makemytrip cash. Great!!! You got Rs. 500 for sign up. To Earn Extra Go to menu>>Refer & Earn section and collect your link. Just share your link with your friends and ask them to download and create an account on app. Your friends need to sign up or log in to the MakeMyTrip app. You can earn up to Rs. 1000 per person you refer. You will earn Rs. 200 bonus cash instantly in MakeMyTrip Wallet for everyone (as per the terms above) who installs the app using your unique referral link. On download, your friends (first time users) will earn Rs. 500 bonus cash instantly in MakeMyTrip Wallet after successful login or sign up. 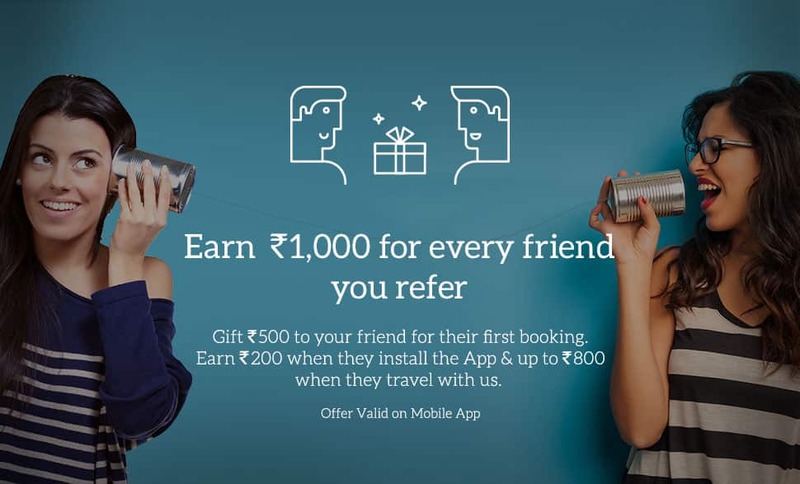 When your friends make their first booking using the MakeMyTrip app, you will earn an additional bonus 10%* (up to a maximum of Rs. 800) of the transaction value in your MakeMyTrip Wallet. The 10% bonus of the booking amount will be credited only after the travel date for the booking made by your friends has passed. If they cancel the booking before the travel date, you will not earn any referral cash. Bonus cash will be credited in 1 business day from the date of travel. In case of Pay at Hotel bookings, amount will be credited back 7 days after travel has elapsed. Install MakeMyTrip Via Your Link in Rooted Phone . Register on It , And See Your Main Account is credited with 200 And New With 500. Now Everytime You Have to Change As Below . Then Again Install Make my Trip With Your Link Only Install Dont open It . Then Open Xprivacy !. And Tick All like Snapdeal ! Now You All Are See Many options Like Accounts , Phone Etc ! Now scroll Down And Tick Mark on Phone , Shell ,And System ! Now Elaborate System ! And Tick Mark on get Installed Packages ! Now Open Setting of Xprivacy ! And Randomize all Data ! Now Everytime Just Uninstall MMT , And Change Imei ,Android ID And Randomize Value From Xprivacy !